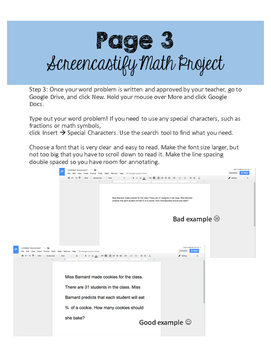 This project is designed for 1:1 Chromebook classrooms and uses the Chrome extension Screencastify. It can still be used without a class set of Chromebooks! 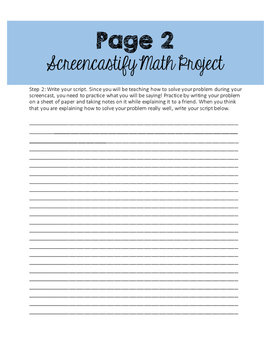 You could also modify the project to use with iPads. I highly recommend the app Explain Everything. 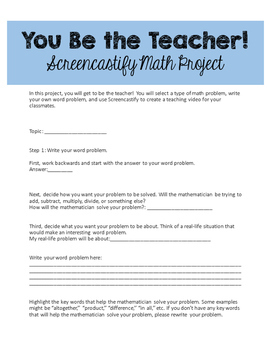 Screencasts are an excellent way to assess your students by having them “teach” how to solve math problems. 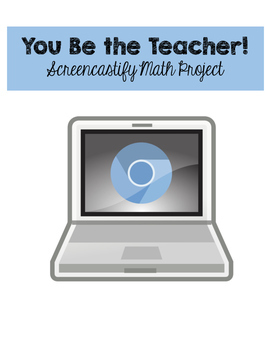 I hope you find this resource helpful in your classroom- I know I have!